There has never been a time in the history of humanity when disaster and hardship have not been terrifying realities and threats. 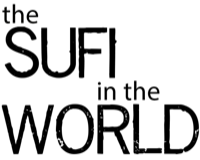 “We live in troubled times” could be regarded as a universal truism. What has Sufi practice and thought to offer as tools and inspiration to help us navigate the tumultuous waters of our own times? 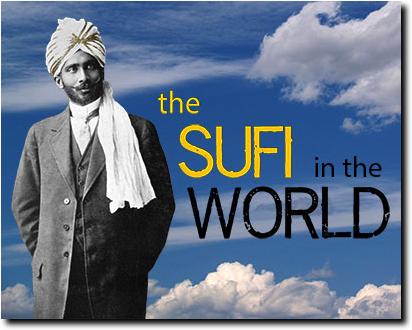 Please join us for The Sufi In The World retreat where we will experience the calming and grounding effects of focused breath, concentration, and sung meditation. In friendship we will share the joyful and uplifting influence of music and dance. Rhythm is essential in life. Our program at Loon Lake will be organized around a repeating schedule: morning practices, a generous time for rest and relaxation after lunch, afternoon presentations and discussions, and the Gentle Singing Zikar of Inayat Khan each evening. “The world is evolving from imperfection towards perfection; it needs all love and sympathy; great tenderness and watchfulness is required from each one of us.”. We will be honoured by the inspiring presence of Murshida Nuria Sabato as both a presenter and participant in our program. Nuria is Co-Representative General of The International Sufi Movement, with whom we are associated. letting the waves beat against it. In this age, where we are immediately exposed to the conditions of our world and human family or during a time of personal hardship, we may experience the impact of waves of disharmony upon our being. How do we respond to this discord and disharmony? Hazrat Inayat Khan offers us insight, saying: "Resist not evil," does not mean receive evil onto yourself. "Resist not evil," only means this: do not send back the disharmony that comes to you." May we stand still and grounded like the rock upon the sea and resist not the waves of disharmony, radiating love, harmony and beauty in response. Nuria brought abundant joy and wisdom to "Walking the Path" retreat at Ghost River, Alberta, last August. Participants throughly enjoyed her good humoured and insightful presentations and interaction. 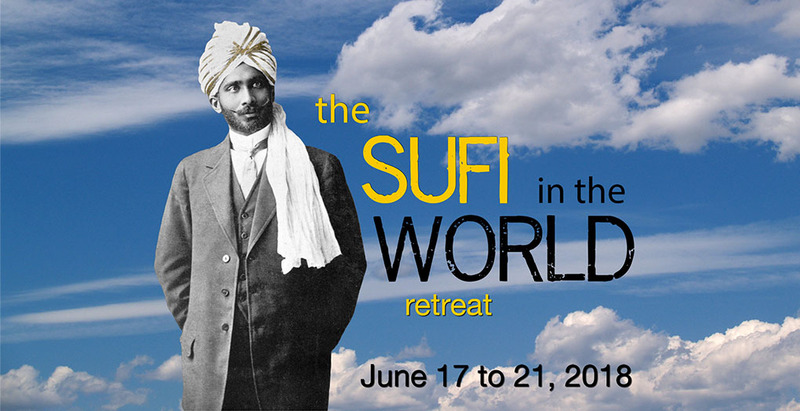 This Sufi Retreat will focus on living in the world in difficult times. By drawing on the deep mystical teachings of Hazrat Inayat Khan, Nuria brings both spiritual understanding of these challenges and ways of being in our lives that comfort and place us in practical relationships to the "world of variety". Professor Emerita Stephanie Nuria Sabato's studies of world religions have taken her on spiritual pilgrimages throughout Europe, the Middle East, and India. On her first journey to India in 1990 she met Mother Teresa and His Holiness the XIVth Dalai Lama. In February 2016 Nuria was nominated successor of Murshid Karimbakhsh Witteveen, Joint General Representative (President and Head) of the International Sufi Movement, a position held Jointly with Murshid Hidayat Inayat-Khan (Son of Hazrat Inayat Khan). In March 2016 her appointment was ratified. Currently Nuria is the Joint General Representative with Murshid Nawab Pasnak, appointed successor of Murshid Hidayat Inayat Khan. She considers it an honor and privilege to serve the Sufi Message as a Senior Representative and to have received training under the guidance of Murshid Hidayat. Nuria has been a Sufi initiate for over three decades, and has dedicated herself to a Path of inner study and outward service to the Sufi Message as brought by Hazrat Inayat Khan. In 2009 Nuria was appointed a member of the Pir-o-Murshid Council, Secretary of the Brother/Sisterhood Work for the Western Hemisphere, Secretary of the Esoteric Inner School of the USA, and to a seat on the Executive Committee of the International Sufi Movement. 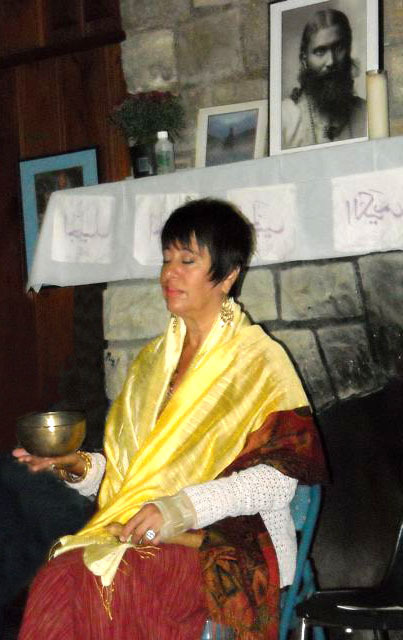 Nuria has taught meditation throughout the US, Europe, and India. She has also been initiated by His Holiness the XIV Dalai Lama, Achok Rinpoche, Ribur Rinpoche, and Rabjam Rinpoche. His Eminence Khamtrul Rinpoche is her personal Buddhist guide and teacher. In 1997 Nuria co-founded the Jamtse Tsokpa Foundation-Association of Compassion. The Foundation is dedicated to raising and distributing aid to suffering exiled Tibetan Refugees. Her work has received recognition by His Holiness the Dalai Lama. 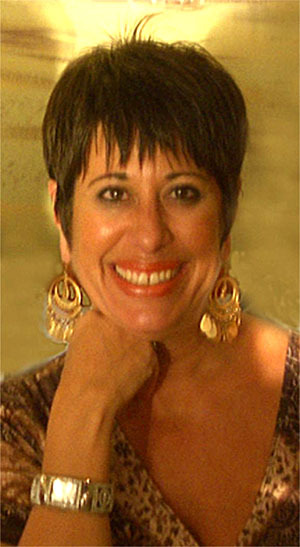 Nuria has been involved in the education of artists and designers for over twenty-five years. The American Institute of Graphic Artists has honored her with the AIGA Fellow Lifetime Achievement Award. Nuria has been honored by the Fulbright Foundation as a Fulbright Scholar appointed to Morocco. Other presenters will include experienced Canadian Sufi leaders who were guided and trained by Murshid Hidayat Inayat Khan. 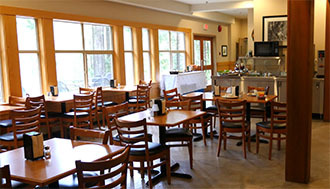 Loon Lake Lodge, in UBC’s Malcolm Knapp Research Forest, is located on the shores of Loon Lake, east of Vancouver near Maple Ridge. This is a secluded location in the depth of the forest with restricted access. 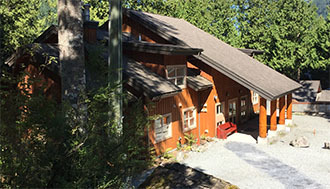 Our retreat will be held in Koerner Lodge, a self-contained building right on the lake-shore which contains a gorgeous practice room with large picture windows, it’s own private dining room and deck, and sixteen bedrooms. 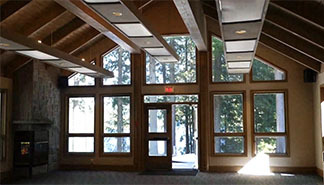 We encourage you to view the five minute video about Loon Lake Lodge which appears above.